Justin Timberlake started his career on the Mickey Mouse Club. Years after he was selling out arenas in his boy band, NSYNC. Today he is one of the biggest musicians in pop music. Throughout his career he has won over 160 music awards. These awards include Favorite Pop/Rock Album, Top Artist and Showman of the Year. When you see him live in concert you could hear songs like Can't Stop The Feeling, SexyBack, Cry Me A River and many more. 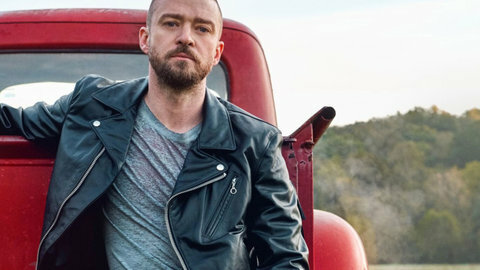 Justin Timberlake tickets are easy to get when you buy them from GoodyTickets. With you in mind, we have made it very easy to find the best seats and the best date or dates that work the best for you. The scheduled dates for Justin Timberlake tickets available can be located in our event chart shown above. The events are displayed according to date, venue, and/or location. If you do not find what you are looking for while shopping for tickets to see Justin Timberlake, call 913-231-2674 to speak with a GoodyTickets customer service representative. Once you have found the event you would like to atttend, click the “Tickets” link to continue to the next screen, which will highlight all listings for the event along with an interactive seating map. Schedules for Justin Timberlake events can be sorted as needed by price, e-tickets, quantity, section, or row. Proceed to checkout by pressing the “Buy” button related to the Justin Timberlake tickets that fit your needs. Once the payment has been received you will be contacted for confirmation of the transaction of your selected Justin Timberlake tickets. All Justin Timberlake tickets are backed with a GoodyTickets 100 percent ticket guarantee. Have peace of mind when you make your puchase for this event. You will receive 100% refund if Justin Timberlake event is cancelled and not rescheduled. GoodyTickets also provides a worry free guarantee that your tickets will be valid upon entry. If they are not valid we will provide you with a refund.